9PM - FREE! Tix avail at box office at 8PM. Free advance studio screening presented by Fox! Tickets available at the FilmScene box office starting at 8pm, one hour before the screening. Seating is first-come, first-served. Arrive early to ensure a seat! 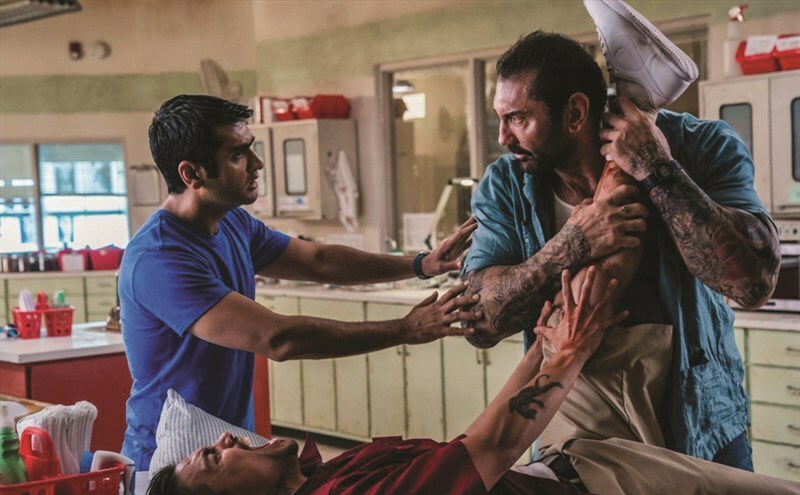 When a mild-mannered Uber driver named Stu (Kumail Nanjiani) picks up a passenger (Dave Bautista) who turns out to be a cop hot on the trail of a brutal killer, he's thrust into a harrowing ordeal where he desperately tries to hold onto his wits, his life and his five-star rating. Directed by Michael Dowse, and also starring Iko Uwais, Natalie Morales, Betty Gilpin, Jimmy Tatro, Mira Sorvino and Karen Gillan.